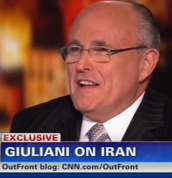 From Mediaite: Thursday night’s OutFront with Erin Burnett hosted Rudy Giuliani, who made some interesting comments on the topic of Iran. Giuliani called Obama a “weakling” and “a President without a strategy.” He considers Obama’s leadership weak, and particularly with regard to Iran and his correspondence with the Ayatollah. Burnett raised the idea that many Americans liken the Iran situation to that of Iraq – casting a negative light on America’s approach, suggesting we shouldn’t engage aggressively. Giuliani stressed the opposite – that there should be both fear of and pressure on a nuclear-capable Iran, where weapons could get in the hands of “irrational, crazy people.” Read the full post here. Photos of Eva Longoria, whose outfit looked like a wardrobe malfunction waiting to happen, are available on Gossip Cop now. Apparently the petite star hosted a pre-Oscars charity event to promote her new eponymous foundation, whose mission is to help Latinas advance through education and entrepreneurship. Anyway, the post is really about Longoria’s dress falling down, and Victoria Beckham’s timely save. See it here. Google diving? Geekosystem reports on Google Street View, which actually just managed to get even better. Having already extended its reach to the Amazonian rainforest and inside buildings, etc., etc., Google decided to dive into the ocean. 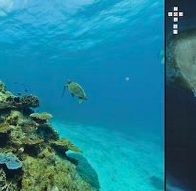 Coming 2012, courtesy of the Catlin Seaview Survey of the Great Barrier reef, is an extensive survey of the reef -showing images and videos of the ocean, just as Street View does for your hometown. Read the full post here. 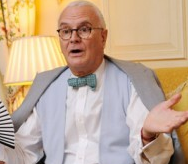 Manolo Blahnik on his collaboration with J.Crew: What collaboration? Styleite reports on Blahnik’s surprise, hearing that his J.Crew collab shoes were such a hit at fashion week. He said recently that he’s turned down lots of money “to create a mass-market type product. I don’t want to make that sort of money if I am polluting my brand.” Apparently he just sent over a bunch of his shoes to J.Crew, but that’s as far as the “collaborating” went. Read about it here. 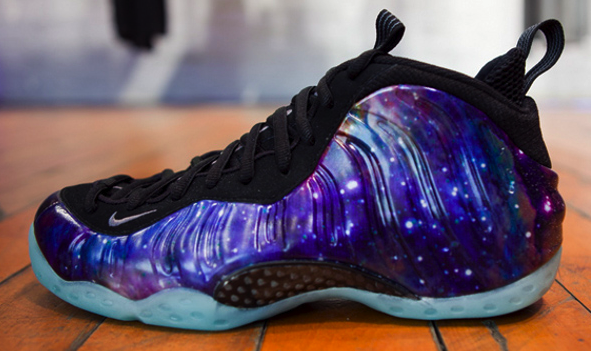 From SportsGrid: These shoes cost 70,000 dollars. At least, thats what a bidder on eBay will pay. To make a long story short, recall the Air Jordan XI Concord mayhem from December. The “galaxy” shoes pictured here faced the same crazed reception, so much so that police were dispatched and (apparently) ordered the sale of the shoes to be stopped. Now there’s that surprising pocket of people obsessed with sneakers who are trying to get their hands on them, and willing to pay a lot of money. For the full post, click here. 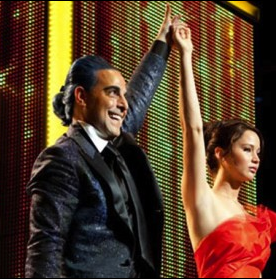 The Hunger Games comes out in the US and UK on March 23rd, but The Mary Sue reports on some very impressive pre-sale ticket numbers. They actually surpassed previous record-breaking advance sales for Twilight: Eclipse. Fandango.com reported that The Hunger Games blew up their site yesterday, and made up about 83% of all their sales. And scoring “the biggest first day advance ticket sales in our company’s nearly 12-year history.” For the full post, read here. 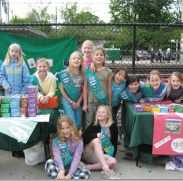 From The Jane Dough: Two days after telling the Associated Press that he’d “stick” to his widely criticized open letter that calls the Girl Scouts a “radical” organization that promotes homosexuality and abortion, Indiana Congressman Bob Morris apologized for his “reactionary and inflammatory” comments on the community for young women. Better late than never. Read about it here.